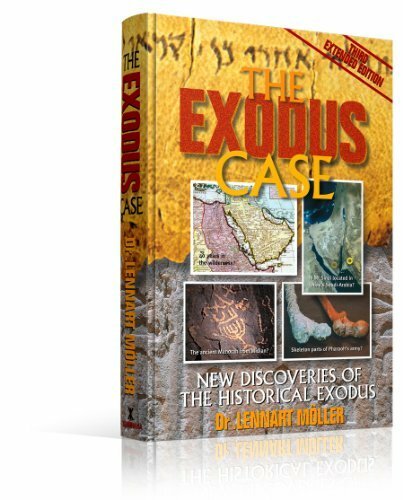 Internationally known research scientist Dr. Lennart Möller investigates the archaeological and historical evidence for the Exodus of the Bible. The Exodus Case explores the Exodus like in a court case, confronting the evidence in a balanced and scientific manner. The book presents the results of this investigation. The Third Edition is very extensive and contains a great deal of information never released before. It is an exquisite encyclopedia of Biblical history seen through the eyes of science. The Exodus Case has 84 chapters, 450 pages, and 790 full-color illustrations. Printed on full-color premium high gloss paper, eBook edition also available. 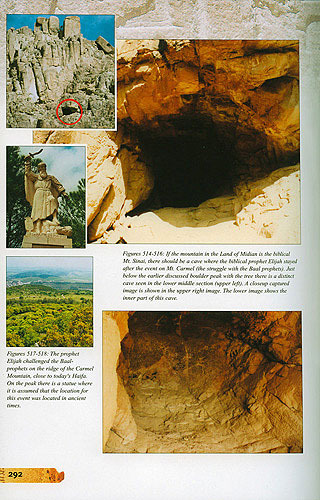 The book "The Exodus Case" deals with the biblical texts from Abraham to Moses as we normally look at ancient documents. That means that the approach is that there is something from ancient times that was written down that is related to something people at that time experienced. In science one set up a hypothesis, which is a question or an assumption. 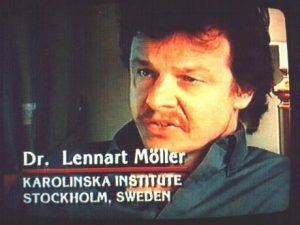 If I believe that a certain disease can be cured with a certain drug, that is a matter of faith. To test this hypothesis (faith) I then design an experiment to test drug X on people with disease Y. That has to be done following many criteria like scientific design, number of people, dose strategies, statistics, inclusion and exclusion criteria and much more. When the data is obtained, in the best case, there is a black and white answer. The drug worked or it did not. In most cases there is a result in between that require further experiments. These data are then made public and published in scientific journals. When other scientists read this, they add their own experience and design experiments of their own, similar ones or to study related matters. Dealing with ancient documents is more complicated in one way, but it could also be rather straight forward. The complicated part is that the documents are ancient, written in a culture of ancient times, there might be fragmented information and there are no people of that time to talk to. The more straight forward way to investigate if the documents are correct, is to test at the locations described if there are geographical and archaeological support to the texts. This is how this book is written. The hypothesis (question, assumption) is that the biblical texts covering the period from Abraham to Moses are true historical documents. As in basically all ancient documents there are spiritual matters as well, but the aim in this case is to look into the geography, chemical analyses, maps, other ancient documents and - which is very important - to be at the very locations that are described. In that way the book is like a an old cold court case where you go back, maybe with new technologies (like DNA fingerprints), to try to solve the case. That is the reason for the title "The Exodus Case". When you have made an investigation you publish your data, you make it public so other people can make there own analyses of the data. That is the reason that the book covers some 450 pages and ca 790 color illustrations and images. Look at it yourself. Make your own judgments. There are some matters that you should be aware of. When you make an archaeological find in general it is investigated and assumed to represent an historical event. When you deal with something from the biblical history it is not assumed to represent an historical event. When you find out some information from a pharaoh it is assumed to be correct, but when you find out something in relation to the biblical history records it is assumed to not have any value if there are not other finds or documents that support it. And even if that is the case it is most common to ignore data and finds from the ancient biblical documents and archeology. Therefore it is important to understand that in some cases there is a strong matter of opinion in ancient history and archaeology. The consequence is that that type of science become very personal and influenced by "politics" (what you are expected to believe rather than what the analyses of data and finds tells you). One such example is that you, not so long time ago, had to state that North-America was discovered by Columbus, which we know was not the case, but it was important for the historical identity. In the Middle East there are many such opinions and data are hidden, archaeologists are not allowed to investigate certain finds and you are obliged to follow a political agenda. You don't have to believe what you find in the book. I just have done it - from my perspective - in a simple way. 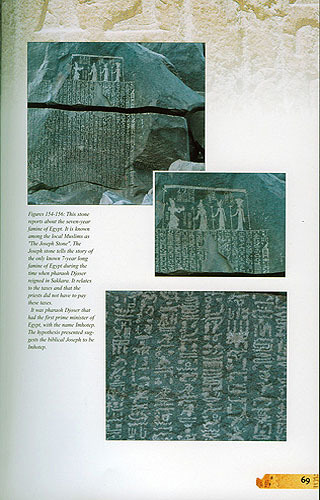 I have assumed that theses ancient texts are connected to history, locations, geography, peoples and archaeology. Then I have put basically all modern literature aside and used two major original and ancient documents. The biblical texts of the latter part of Genesis and Exodus (covering the time frame from Abraham to Moses) written some 3,500 years ago and the Jewish history written by Josephus some 1,900 years ago. When you deal with science it is always important to go back to the original data set instead of looking at other peoples interpretations of other peoples theories that other people summarized. By time through history the original data is filtered through many different filters. The book is divided into four major sections. 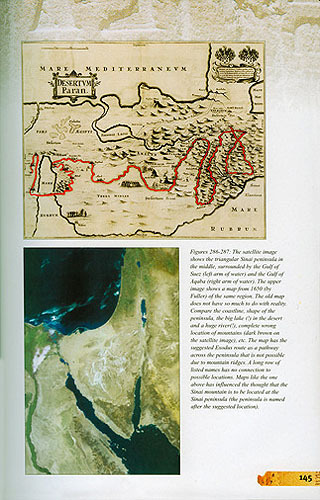 An introduction section that is the pre-exodus period, followed by the major issues the Exodus, the Mountain and then the Wilderness. In total there are 84 chapters, 450 pages and 790 color illustrations, figures and images. This is the third extended edition, published in 2008, with ca 42% more pages and ca 45% more images when compared to the previous edition. I hope that you will read this book with critical eyes - and use the same critical eyes when you read other books and articles. 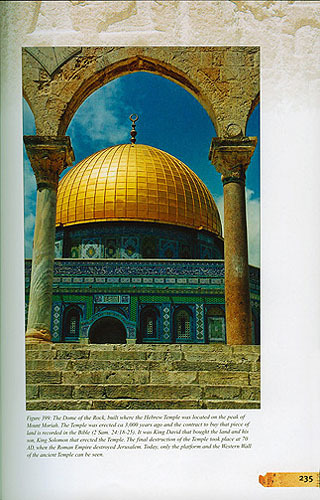 The Temple mount in Jerusalem is still the hub of the world. 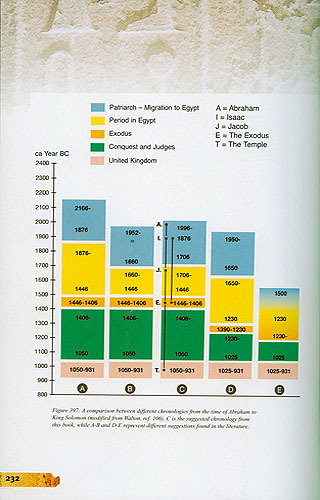 Many tables in the book compares the hypothesis of the The Exodus Case book with other theories. Should we believe in maps presenting the Exodus route, from the 1600 hundreds, that locate a huge lake and a river in wilderness (desert) of Sinai? And further, that cannot define the coastline and locates the mountain ridges at totally wrong locations and is not connected to any archaeological finds at all? Or should we have a scientific approach? The red marked pathway is the route of Exodus still regarded to be the main hypothesis. Is it so that archaeologists, stating that there is not a single trace of Hebrews on the Sinai Peninsula, are absolutely correct? And what is the consequence of such a statement? Either that it did not happen at all - or that it was at another location. The ancient hieroglyphs that tells the story of the seven year famine of Egypt. Hard to find and not advertised anywhere. Why? What does the text say about these events...? Why is it a sensitive issue?